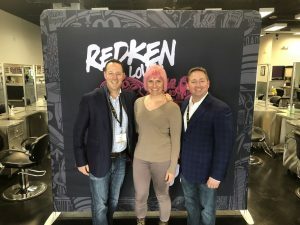 The Bedrin Organization’s Salon by JC, salon suite franchise location in Oak Hollow Village in High Point, NC hosted a surprise makeover for a local Mom surviving Cancer, through the Hello Gorgeous Organization. Creating opportunities for community outreach and philanthropy is just one of the many values The Bedrin Organization brings to our tenants at Salons by JC. To view the segment as featured on FOX8, please visit www.youtube.com/watch?v=0EaX-h5ECb8&feature=youtu.be.